Soooo here is what I wish I could wear on this cloudy Friday! 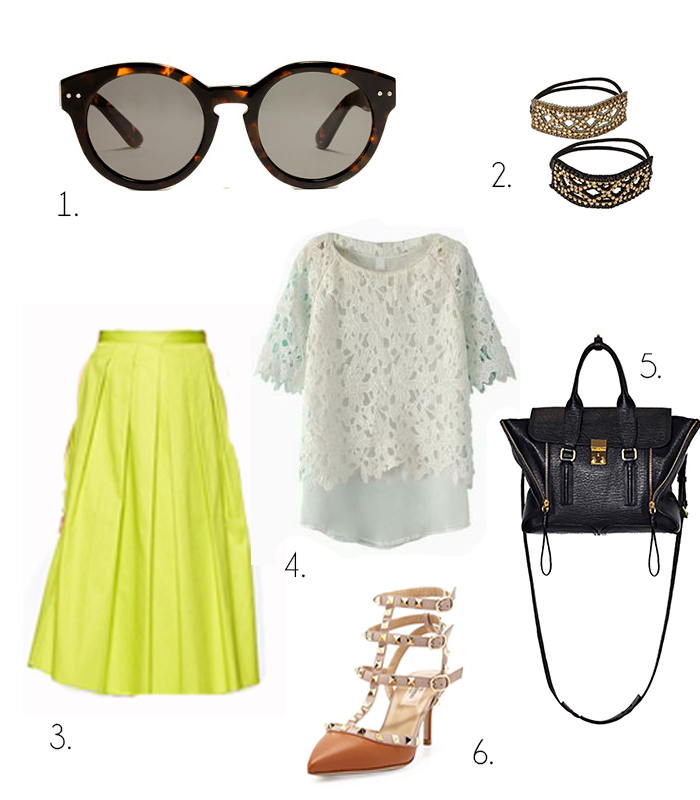 A neon midi skirt to brighten up the day, paired with trendy Valentinos and Phillip Lim bag. I am really falling in love with Valentino’s rockstuds for a while, but since they are totally out of my price range, I am on the hunt for a cheaper alternative. Hope to find it soon!